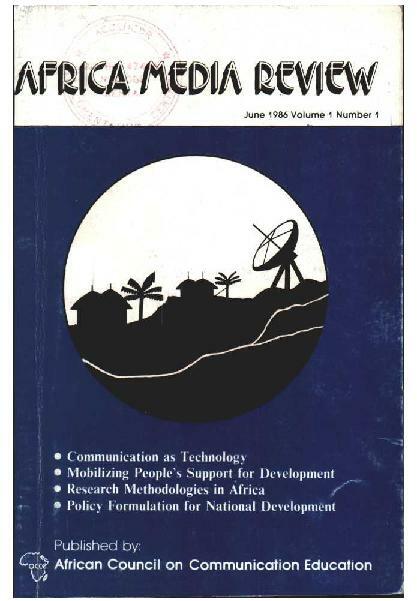 The Africa Media Review, June, 1986, published by the African Council on Communication Education. African e-Journals is a resource that makes journals published in Africa and about Africa more available to scholars worldwide. The project accomplishes this goal by offering three services. First, the site provides a directory of journals about Africa with information about how to locate tables of contents, abstracts, and full text online. Second, back issues of eleven scholarly journals published in Africa are available (in full text) in the site’s archive. Finally, a links page offers information about other websites important to increasing the accessibility of African journals as well as digital libraries that would be of interest to African scholars.